Why Buy The Performance Tesla Model 3 When There's The Model S? The Latest Model 3 Performance version may need a rethink. Tesla has been struggling to make for the much-publicized . Tings have slowly improved over the past few months, but as kinks in the manufacturing process are ironed out one would assume that a period of consolidation would be high on the agenda. But this is Tesla, and Elon Musk is not known for standing still. His latest announcement of the performance variant of the is surely to put additional strain on the production line but he maintains that selling higher-spec models is key to Tesla’s long-term survival. This strategy is borne out in the estimated delivery times for the : order a base-spec version at the $35,000 starting price and a 6-12 month waiting time is projected. Add a long-range battery, all-wheel drive or opt for the new Performance model and that time shrinks to between 6 to 9 months. 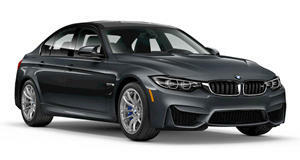 The price however goes the other way, a dual motor can be around $54,000 while the is an even steeper $78,000. 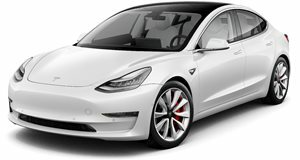 This pricing does include most options except the but makes the top model not only a fair bit steeper than the base M3 sedan that Elon has been comparing it to. It also brings it uncomfortably close to the Model S.
The $97,300 (before options or incentives) Model S 100D may be half a second slower to 60-mph at 4.1-seconds vs. 3.5, but it offers an additional 25-miles of range and Model S owners do get access to things that aren’t available on the s. Firstly there is the smart air-suspension system which is standard on the larger cars but as of writing is not even an option on the . This situation is likely to change in 2019 but for now it is not available. Secondly, the Model S comes with a larger 17-inch digital touchscreen and a driver display as opposed to the 15-inch unit in the smaller car. The combined front and rear trunk cargo volume is twice that of the too and the power liftgate is another feature that is standard on the Model S but not even an option on the . 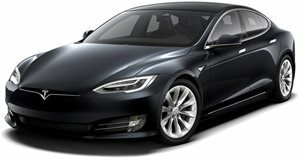 Both cars can seat five adults in comfort but the rear facing seat option is reserved for the Model S. All-wheel-drive, 12-way power front seats and LED foglights are part of every Model S but are extra cost options on the . Not deal-breakers clearly, but worth a thought especially when you are looking at the highly-specced s and want to do a like for like comparison. Something that may also sway buyers towards the Model S is the fact that Supercharging is totally free for the life of ownership. owners will have to pay for the service, depending on your mileage this may also erode the price difference between the two cars over time. The warranty on the batteries differs too, Model S owners get an 8-year unlimited mile cover while owners get the same time span but only 100,000-miles on standard batteries or 120,000-miles on long range ones. Now you may point out that the Model S 100D is still a good $20,000 more expensive than the Performance and it would take a whole lot of miles to recoup those costs, but there is also the Model S 75D to consider. It may only have a 259-mile range, but at $77,800 before any incentives or offers it actually undercuts the top-spec making an even stronger case for itself. It is hardly slower than the 100D, giving up just 0.1 of a second to the 60-mph sprint and its 140 mph top speed matches that of any . It also comes with all the aforementioned features of the Model S range and even with the Premium Upgrade Package, which includes a whole host of extras, is still only $82,800. A well-specced may come in at around $20,000 less than that but you would still have a slower car. Non-Performance ’s do the 0-60 mph run in the low 5-second range, and you would still have to wait up to half a year for your car. Resale values are a tricky thing to predict but with many more s planning to be built, the larger car may even depreciate at a slower rate. Essentially, as with all such things, it comes down to individual preferences. If you don’t need the extra space, are not fussed about the lack of air-suspension and are happy to wait a while, then the still makes sense. If you want your car now, plan to do longer trips and are not bothered by slightly lower performance (compared to the Performance that is) then either a well-specced 75D or 100D would be the better bet. The M3 may be the car that Elon wants us to compare his new to but in reality, it may just be so that we don’t look at the even fiercer competitor within Tesla’s own walls.